The democratic impulse in the world of cricket is truly alive now. 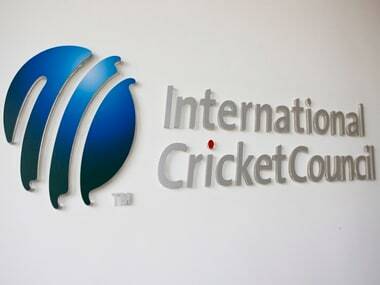 With the adoption of the reworked constitution, the International Cricket Council (ICC) can once again reasonably claim to represent the best interests of the sport. But it was one decision which truly stood out. On Thursday, the ICC board’s meeting in London ended with the announcement that Afghanistan and Ireland are Full Members now. 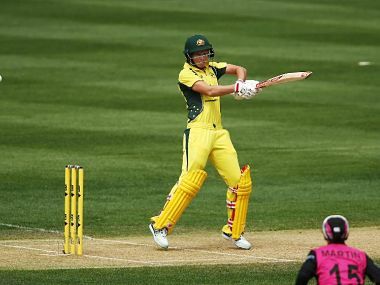 With this move, the number of Test playing nations goes up to twelve. Only three years ago, such a possibility would have evoked laughter and frustration. Following the ‘Big Three’ grabbing power, cricket was dragged back by decades. Every member except India, Australia and England had reasons to worry. The less said about the Associate and Affiliate nations the better. But the process led by ICC chairman Shashank Manohar is beginning to bear fruit now. Not only will there be two new Test playing nations, Test and ODI leagues will bring greater context to international cricket. While the nitty-gritty of the calendar is still under discussion, there are fewer reasons to be pessimistic about cricket’s future. A more equal world is being imagined. For the many, not the few. Cricket Ireland chief executive Warren Deutrom also echoed those sentiments, when he spoke to ESPNCricinfo. “I think it sets a terrific example. What happened today for Full Membership for Ireland and Afghanistan is part of a much broader series of governance changes that the game has had the courage to embrace today.” For a man who was reliant on a part-time PA and his personal email ID when he took this job in 2006, Deutrom knows the team has come a long way. Irish cricket has also defied the nationalistic suspicion of the game on account of its English origins. For a long time, cricket struggled to find space in the popular imagination as Irish games like Gaelic football were prioritised. But the dissipation of political tensions over the past decades has ensured that Irish cricket can stand on its own feet. Despite losing some of its best talent to England, the Irish continue to dominate the ICC Intercontinental Cup – the first-class competition for Associates. Ireland emerged triumphant in four of the last five tournaments. But it has become apparent for some time that it was the ICC which needed to step up, in order to support the leaps made by Irish cricket. Back in 2007, Richard Gillis’s neat journalistic work found that Ireland netted only $56,000 for their progress to the Super Eight stage at the World Cup in the West Indies. Contrast this with the full member Zimbabwe, which was in the same group as Ireland but failed to progress past the preliminary round. The reward was $11million from the media rights pool, on account of its elevated status. Second XI: Cricket in its Outposts, a book primarily authored by Tim Wigmore and Peter Miller, has much more to say on the unequal treatment meted out to those who are not full members. The situation, of course, worsened after the Big Three came to acquire unprecedented powers. In spite of the difficulties, just like Ireland, Afghanistan also runs its own ICC-approved first-class cricket competition. It should be stressed that the decision on Thursday brought an anticipated gain, built on a serious endeavour to develop cricket in both countries. To say that was not the case when Bangladesh were granted Test status at the beginning of this century would be unfair. But it is worth recalling that a first-class cricket competition did not exist when Bangladesh Cricket Board (BCB) became a full member. Unlike Ireland, though, Afghanistan has not been dependent on ICC monies. 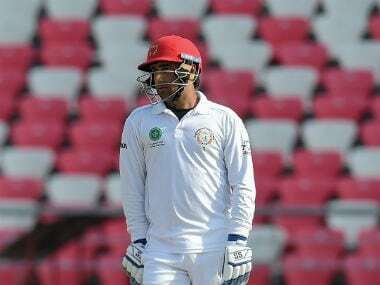 Back in 2015, as noted in Second XI, the governing body’s grants made up only a fourth of the Afghanistan Cricket Board’s (ACB) funding. But for a team which has members who could potentially represent Pakistan, the Test status is a welcome incentive. But we need to emphasise patience. It is unlikely that a stream of Test series will be lined up for both nations anytime soon. ICC chief executive David Richardson was mindful of the challenges that lie ahead, saying that a first win for either team is likely to arrive in the short term only if the two play each other. Of course, that possibility exists. Never before has more than one team become eligible to play Test cricket at the same time since the format’s inception in 1877. It is worth noting, though, that Zimbabwe and the two new entrants to the longest format have not been lined up to feature in the proposed Test league. However, Richardson expects that Afghanistan and Ireland will be able to keep their competitive edge thanks to the increased funding. Both cricket boards are likely to receive a double of the $20m that they get now over an eight-year period. Even if the struggle will be real for a long time, there is much optimism to be had. As Deutrom told ESPNCricinfo, “It's a real measure of faith today. There are 21 criteria. They are very clearly laid out by the ICC now so that option should now be available to (Associate) members to embrace that future if they have the ability." With no members classified as Affiliates anymore, there are only two kinds of memberships now. The Full Members have expanded to twelve, and as Deutrom said, everybody else has a clearer idea of how to raise their profile. This is not to say that cricket is an egalitarian ideal now but there is room for hope. Afghanistan and Ireland shine brightly, along with cricket.